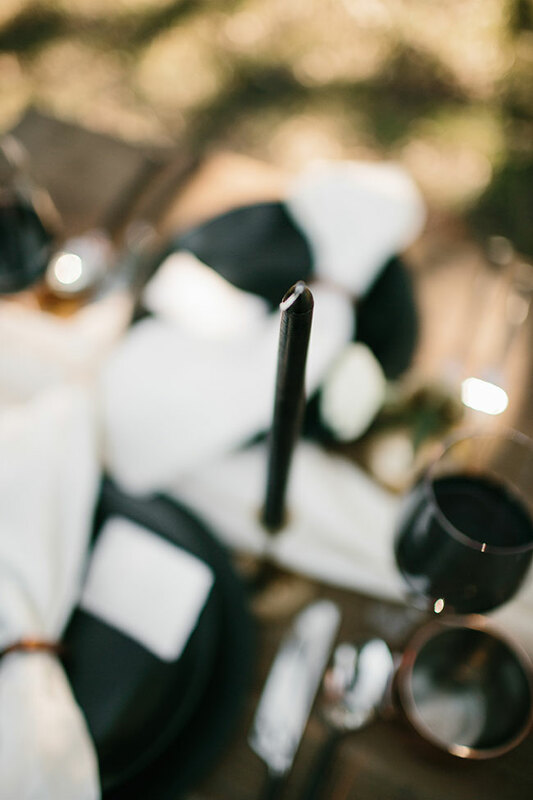 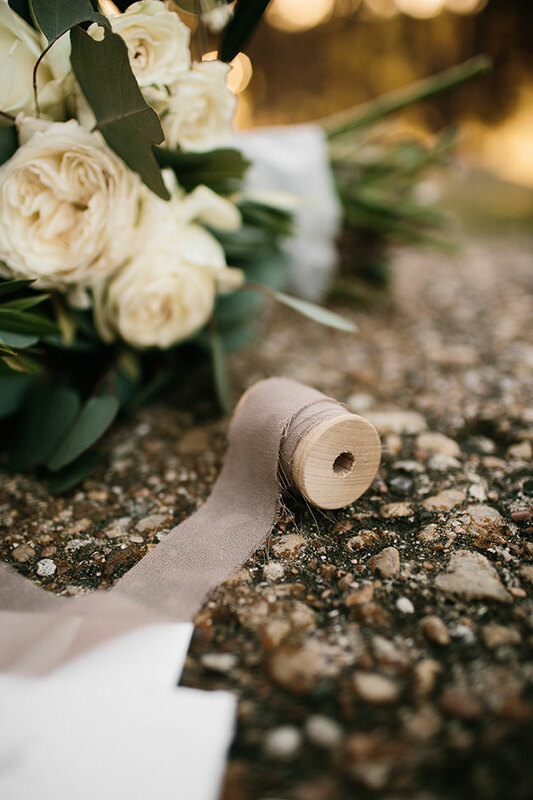 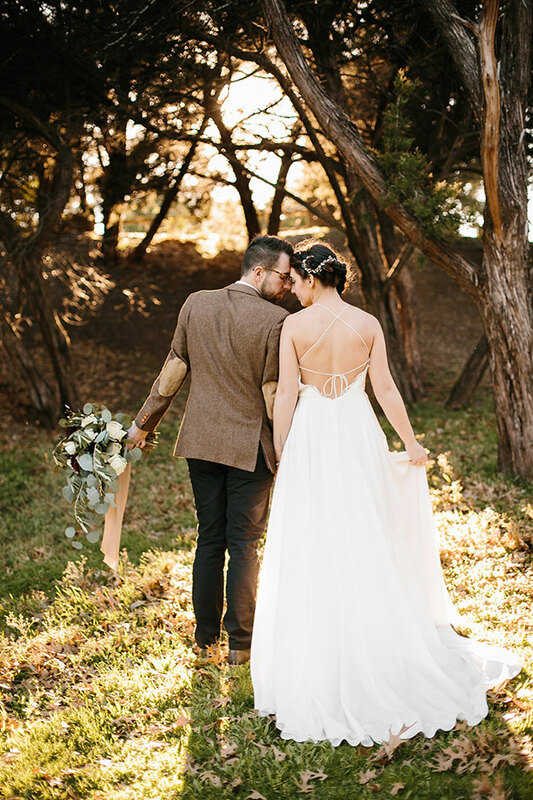 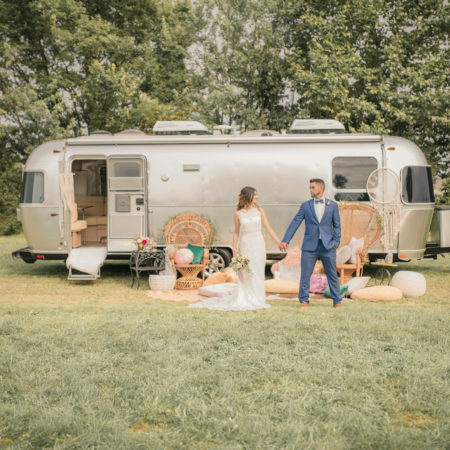 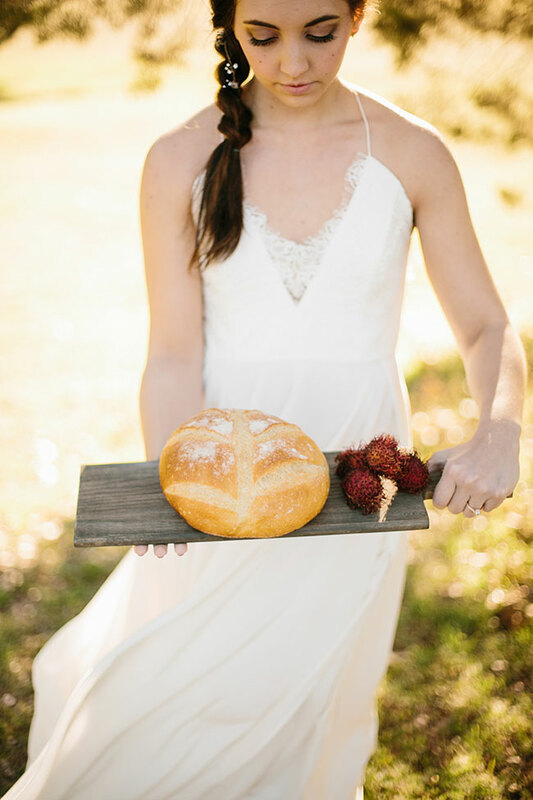 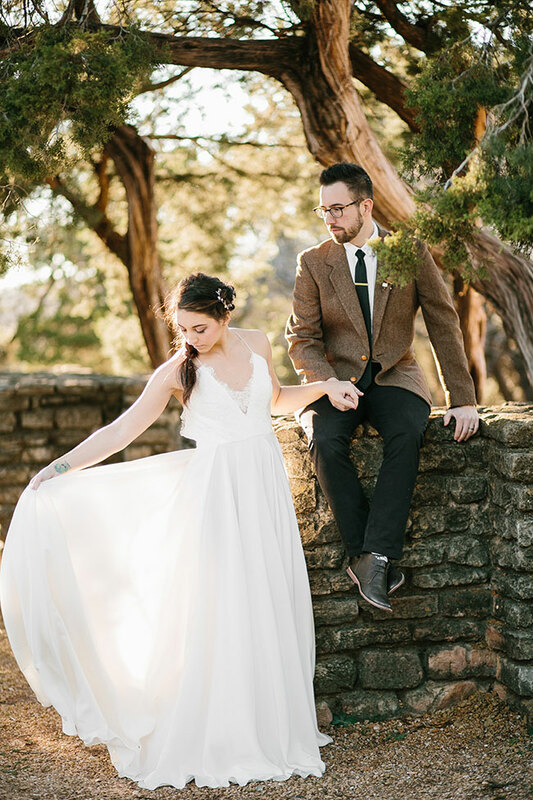 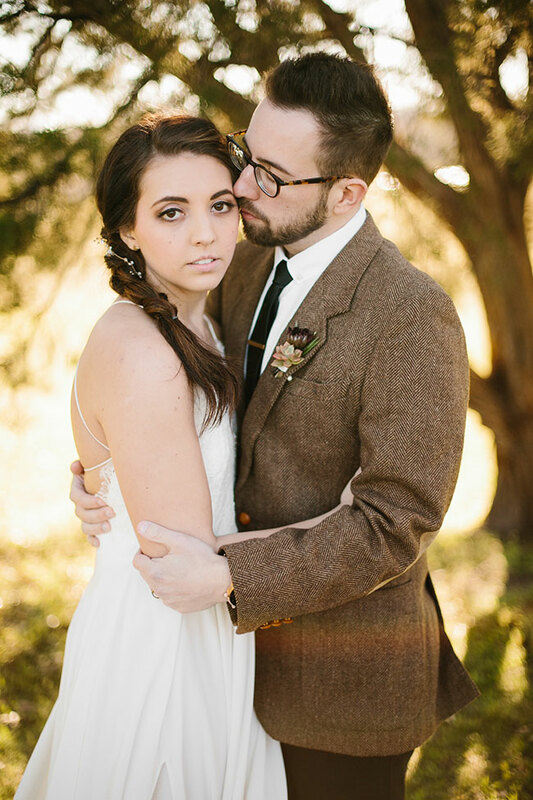 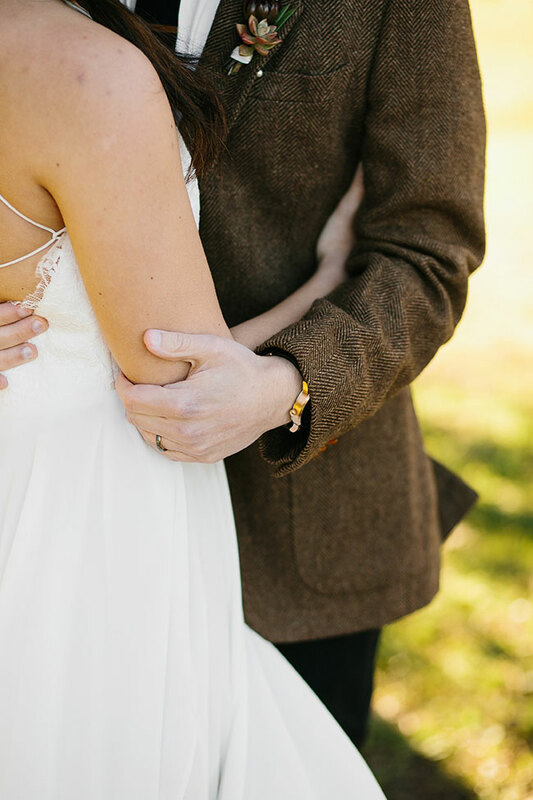 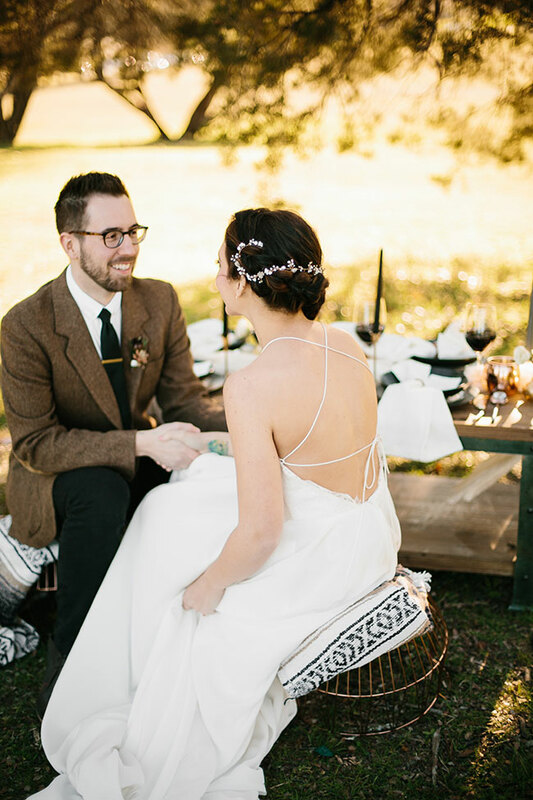 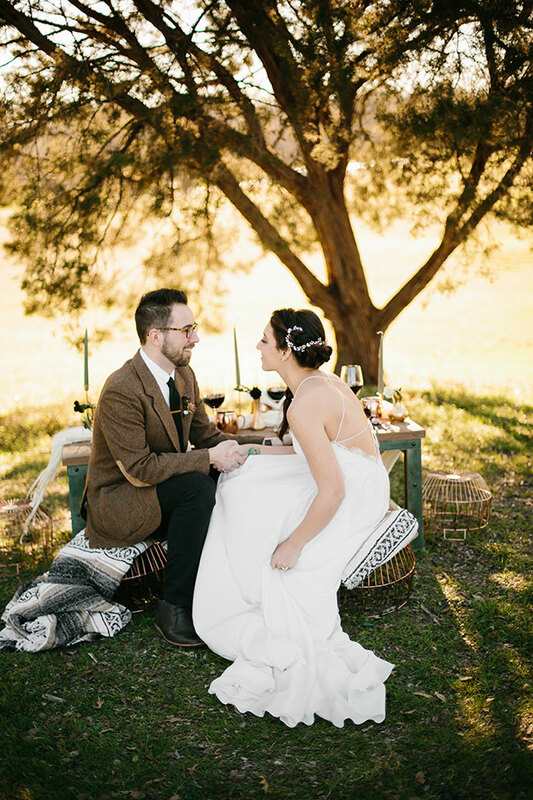 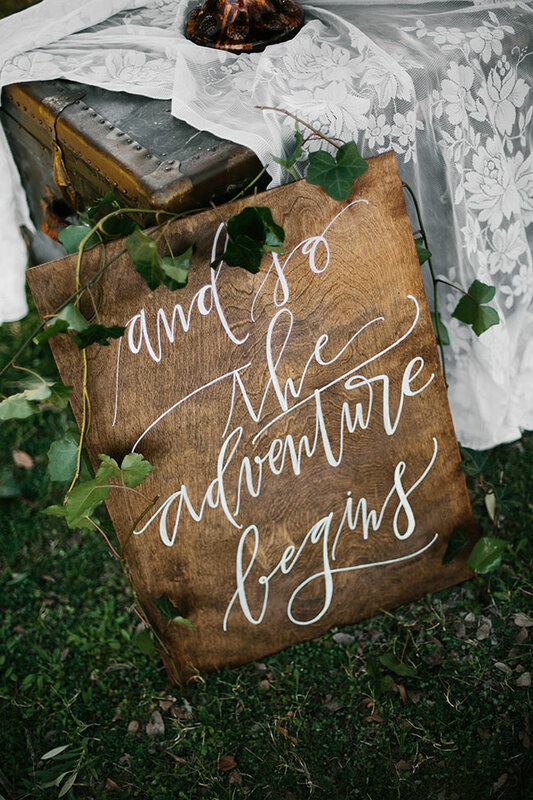 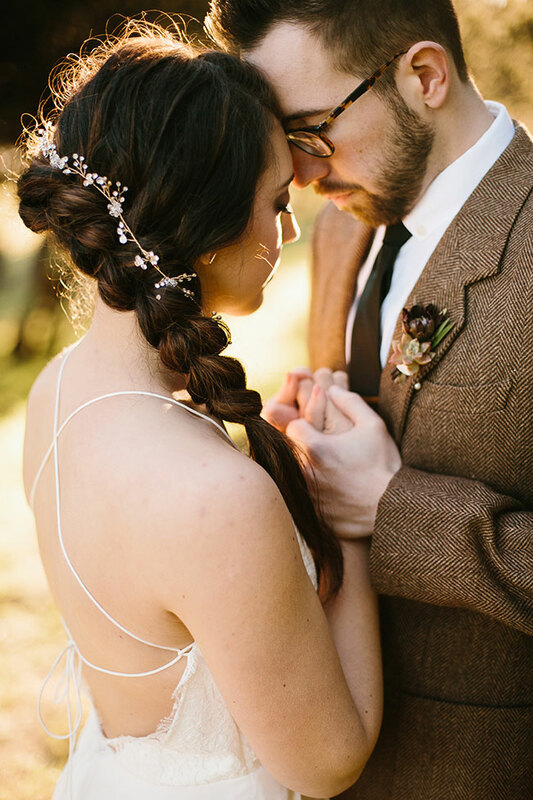 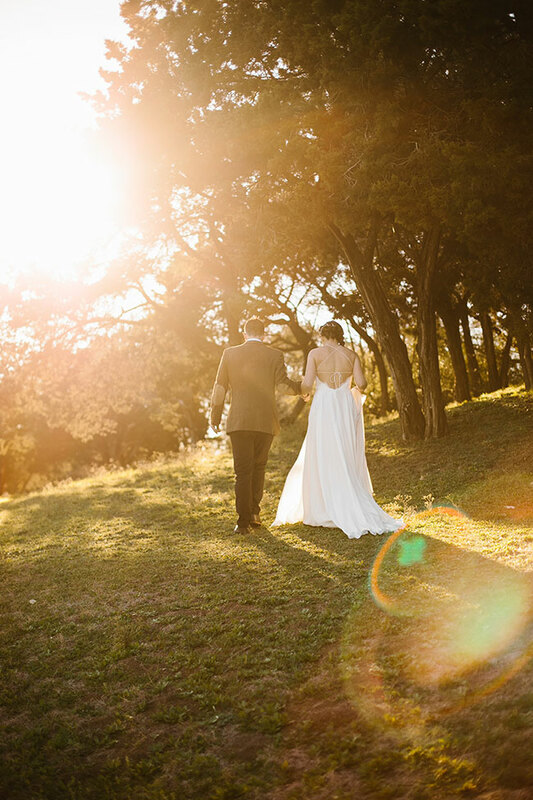 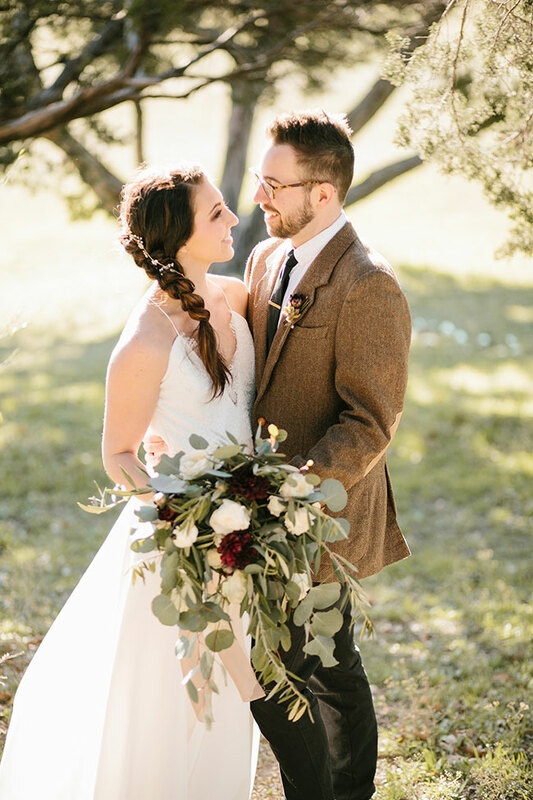 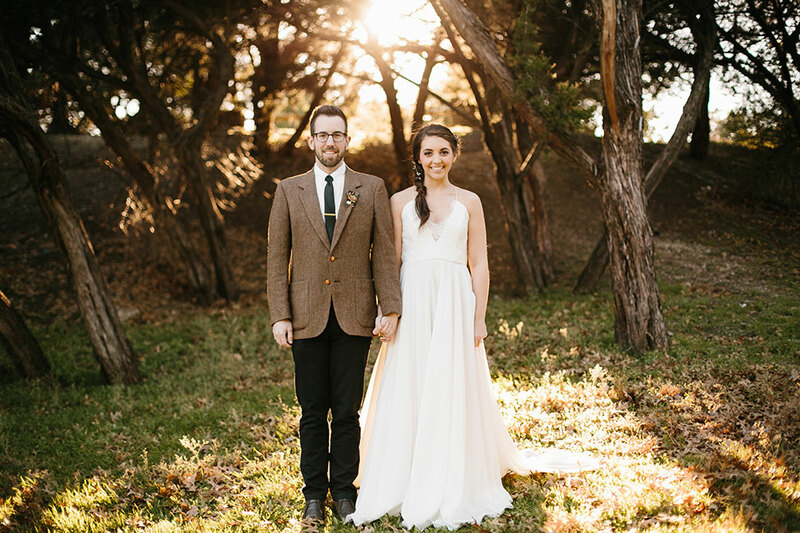 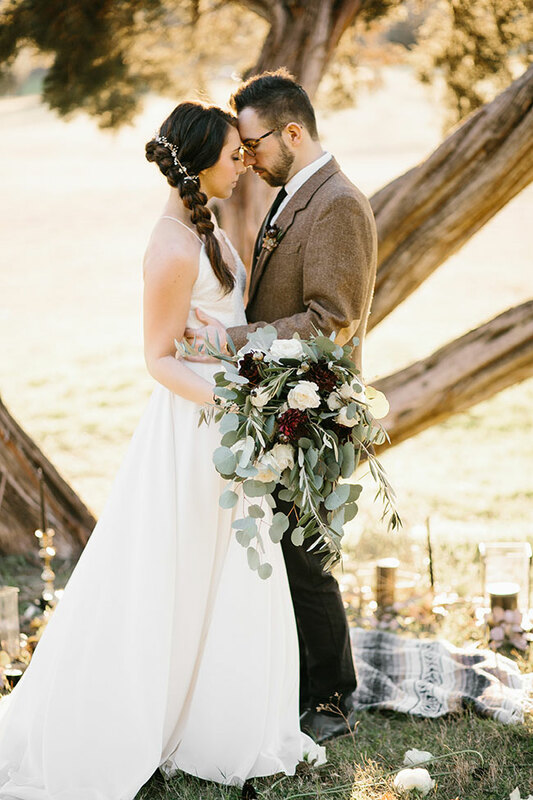 Rustic chic with a dash of whimsical boho is the perfect way to describe this dreamy kinfolk wedding nestled among the trees at White Rock Lake. 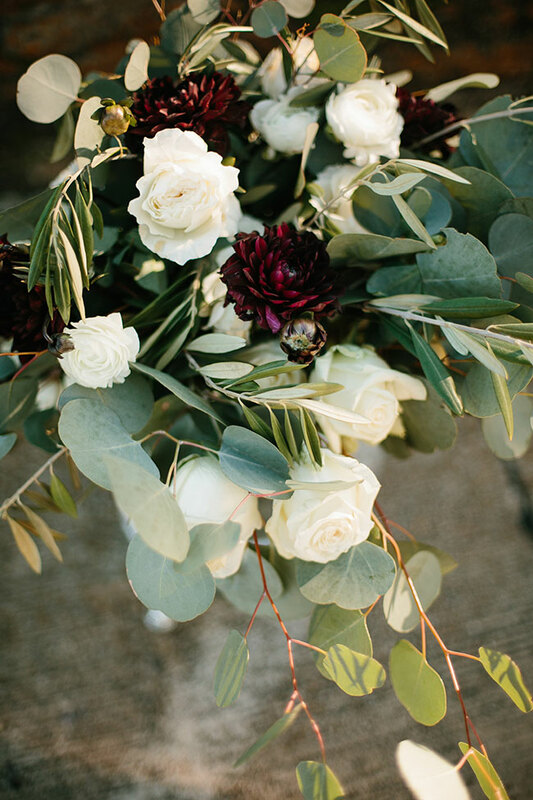 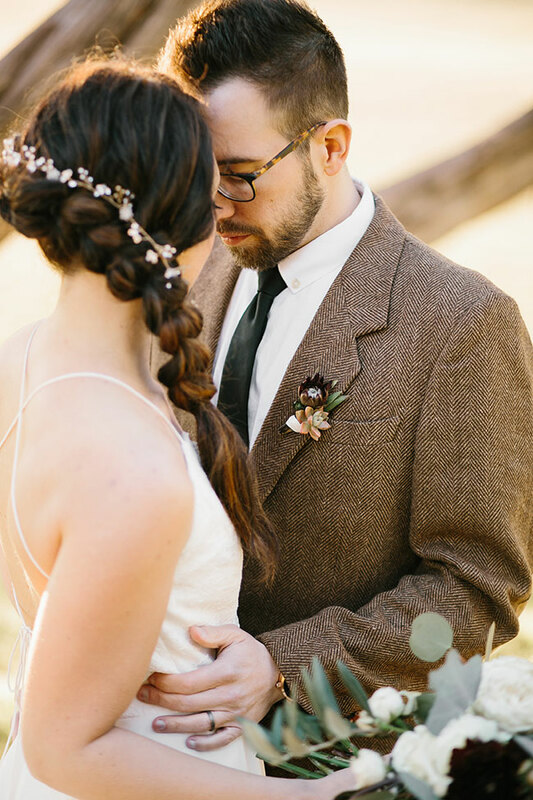 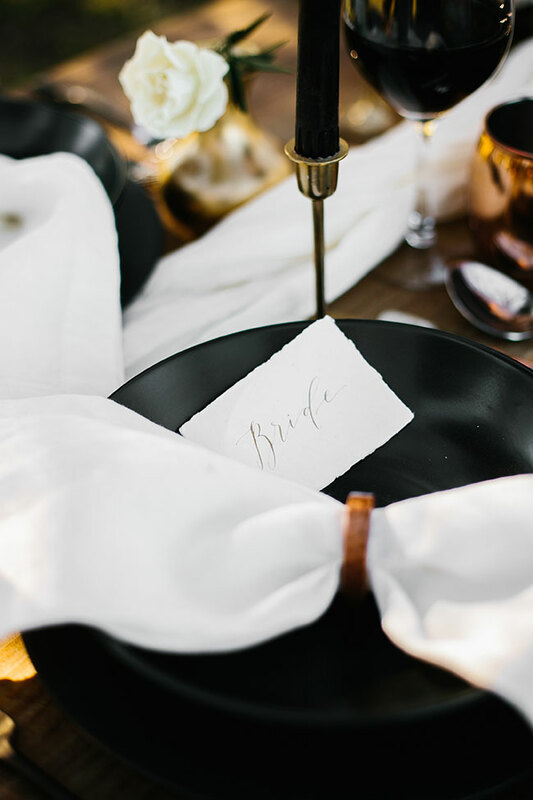 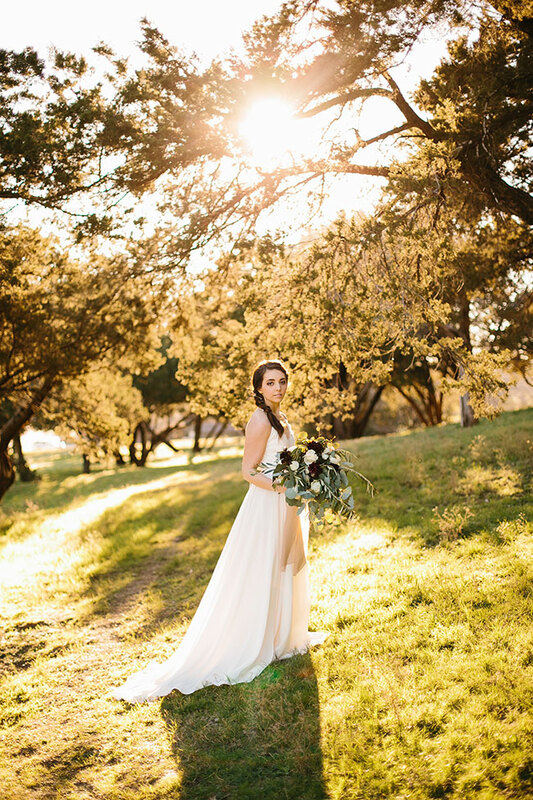 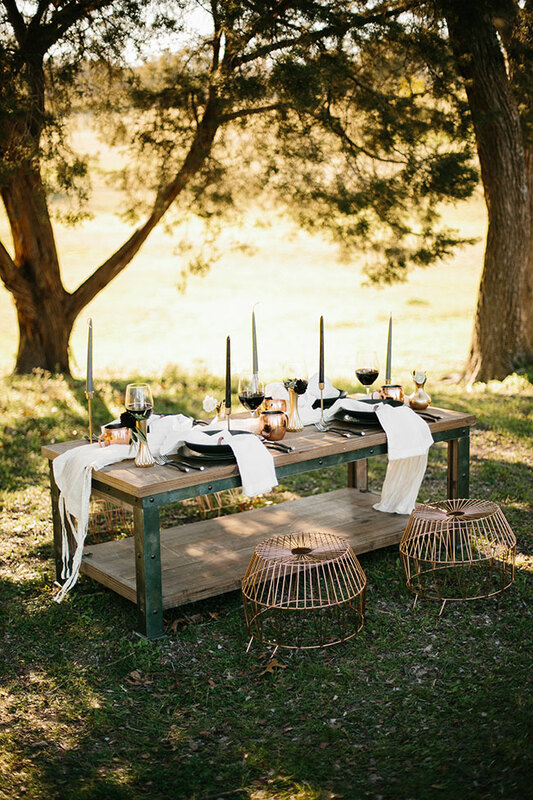 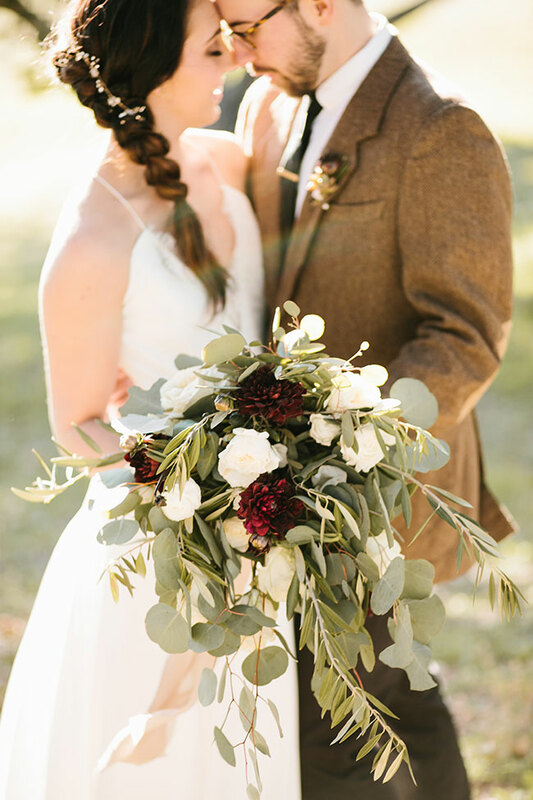 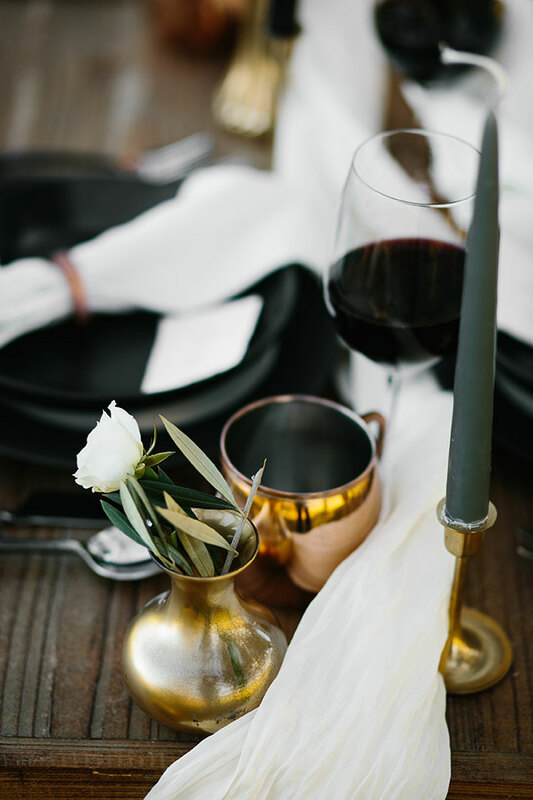 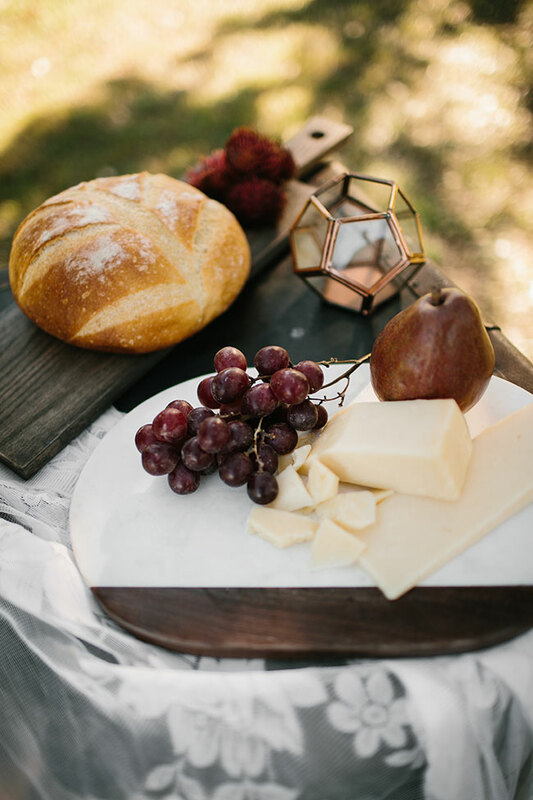 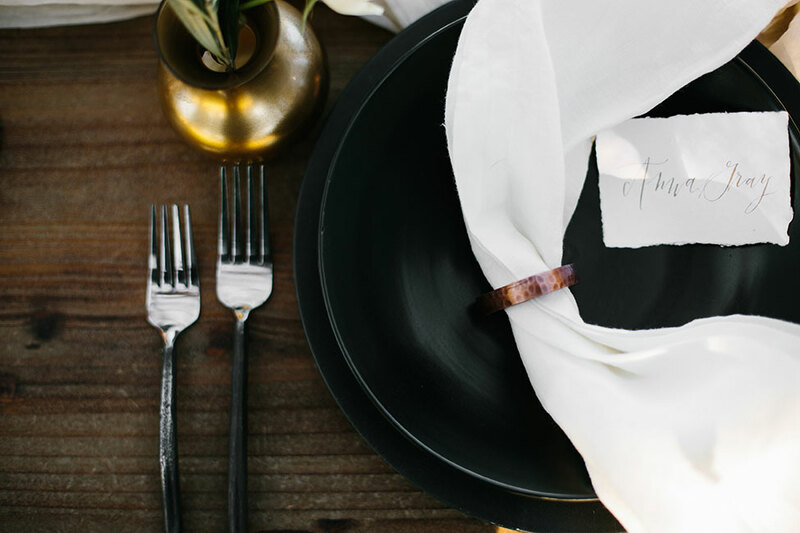 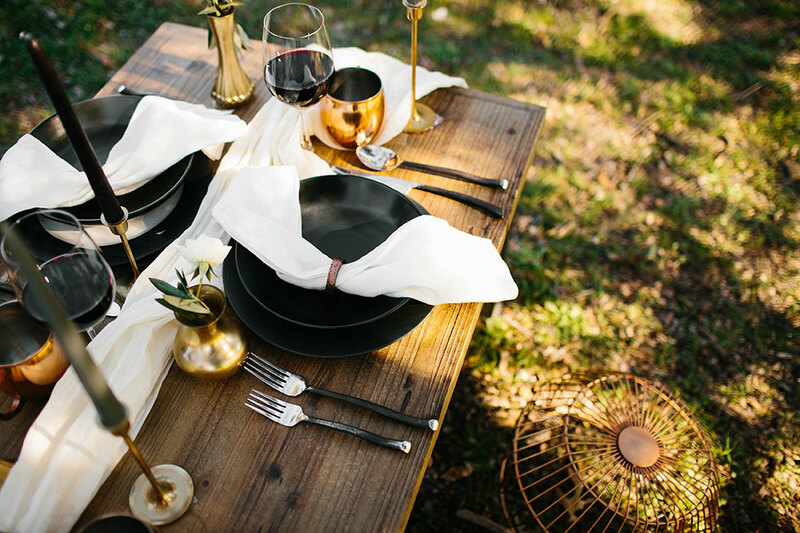 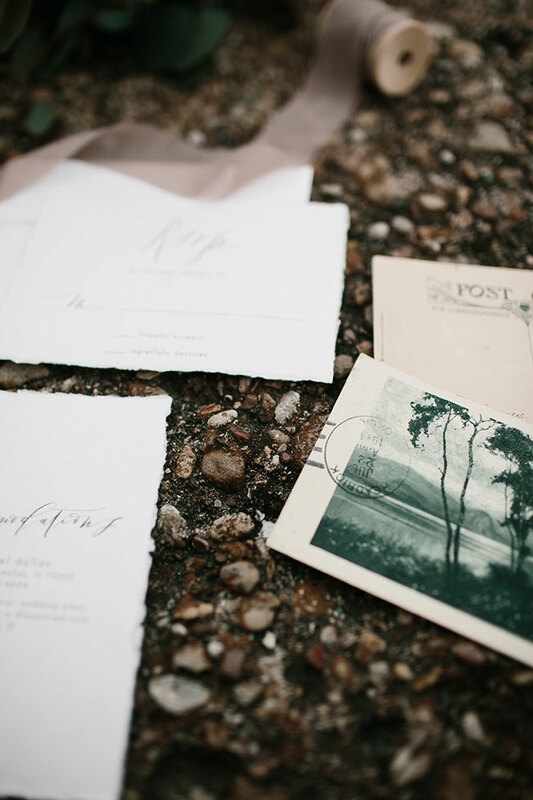 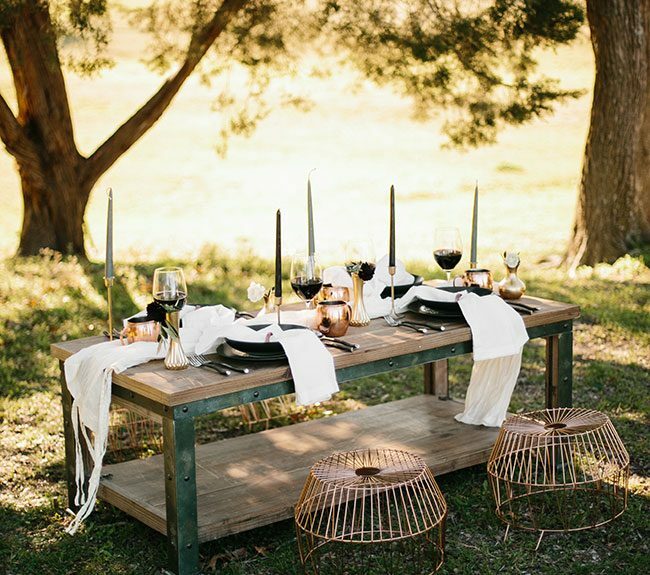 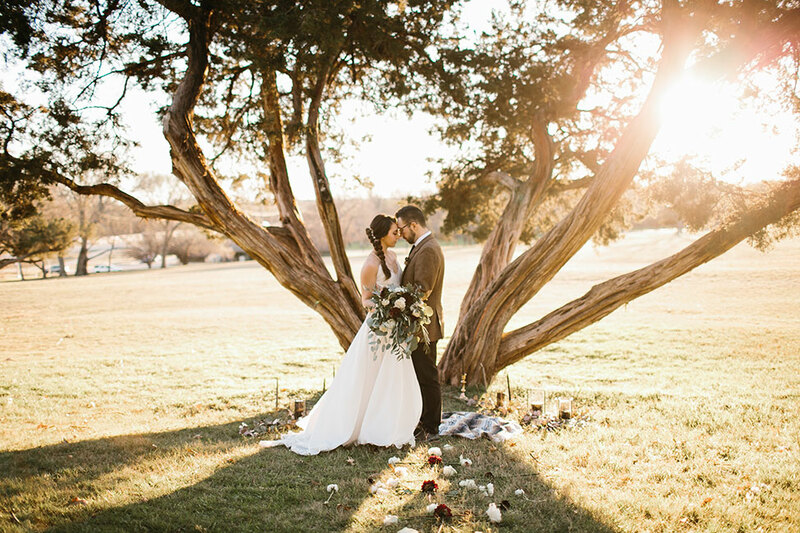 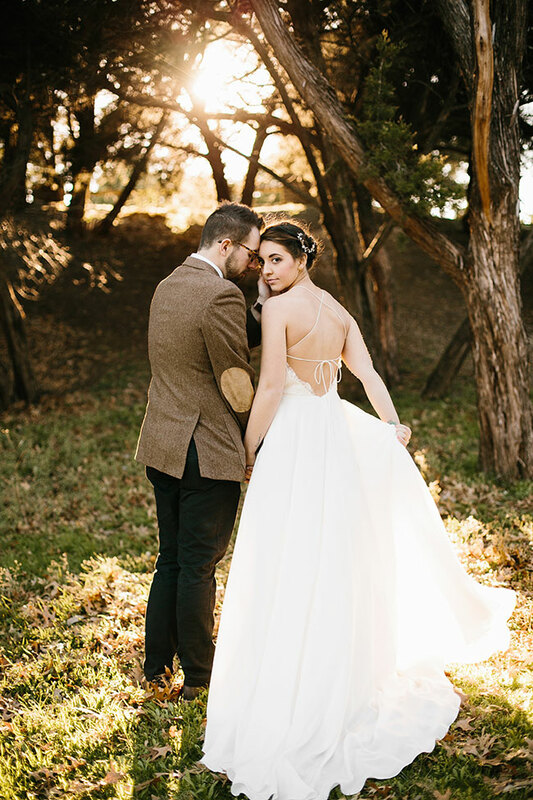 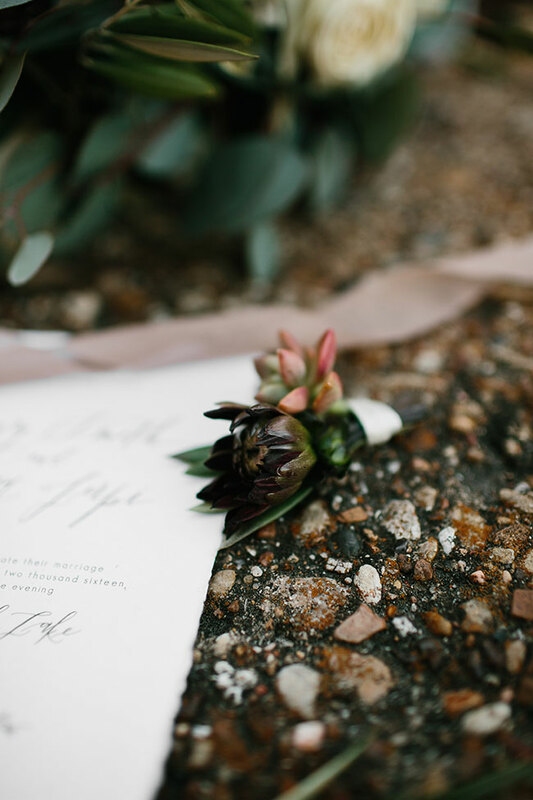 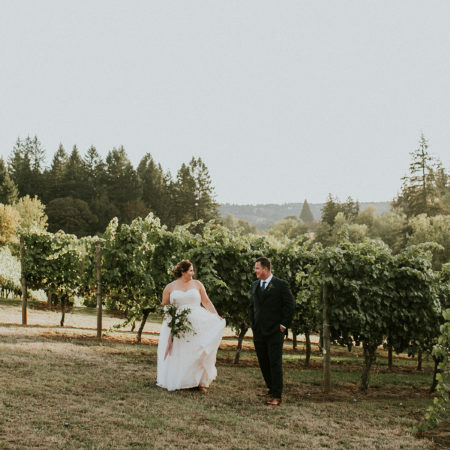 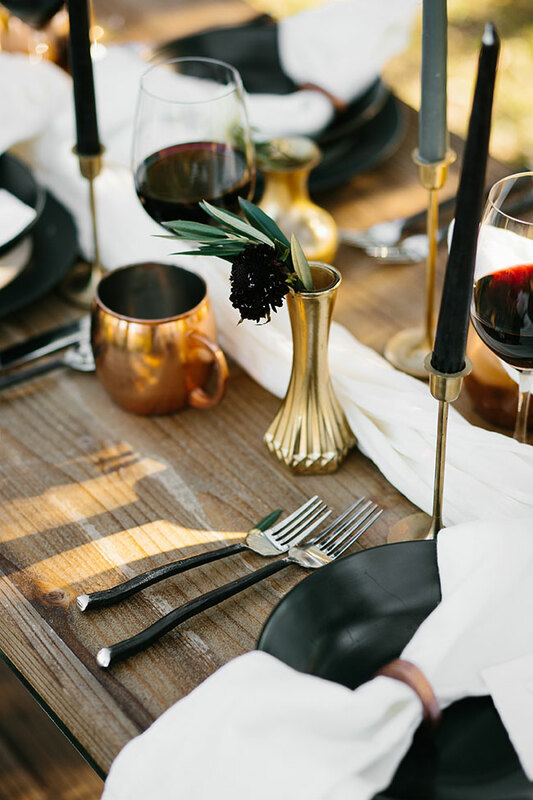 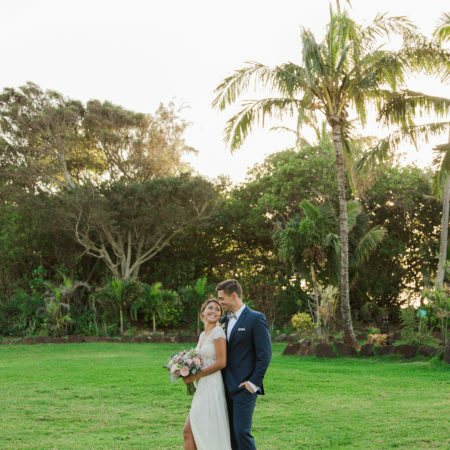 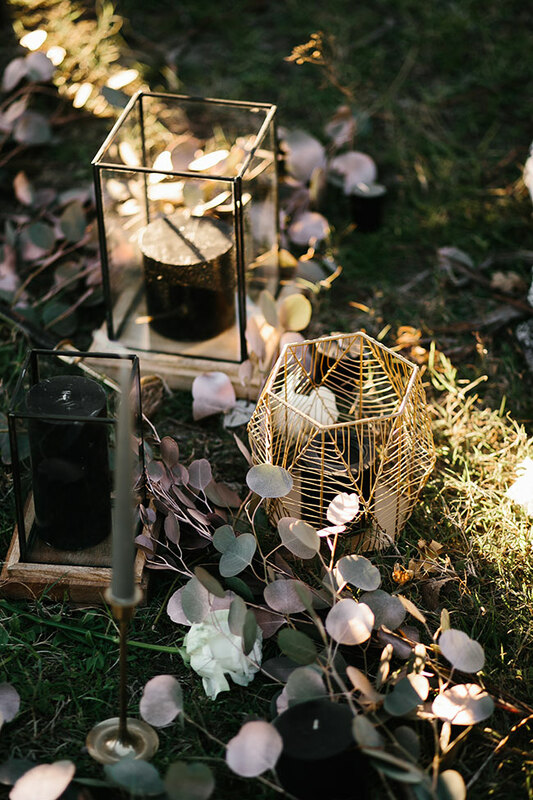 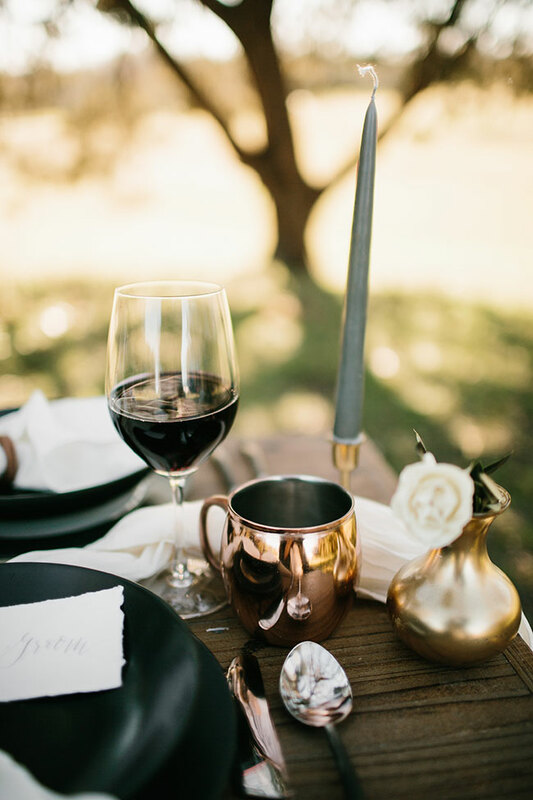 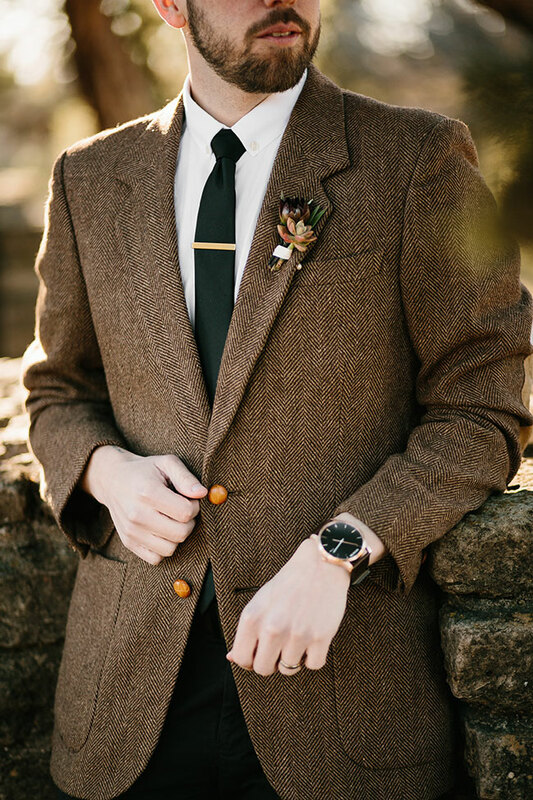 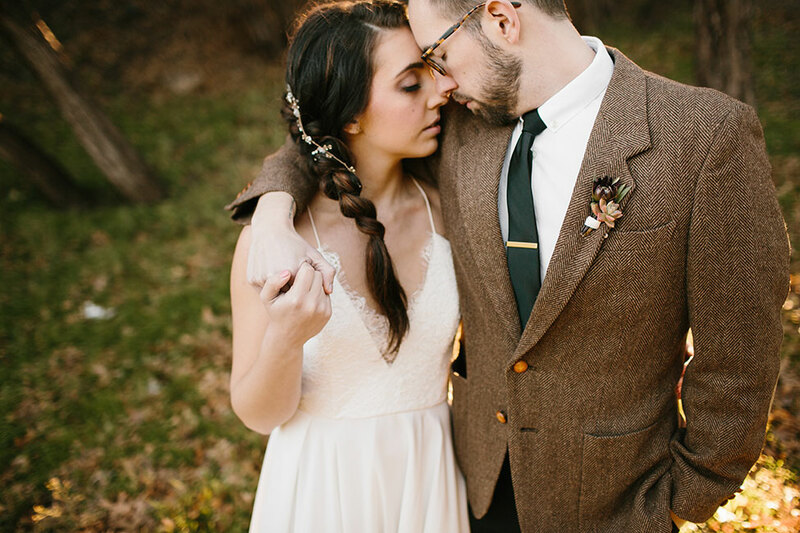 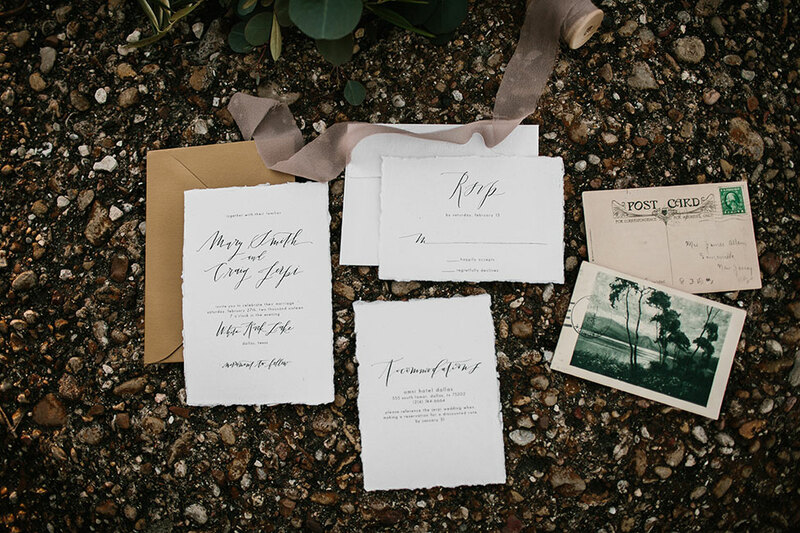 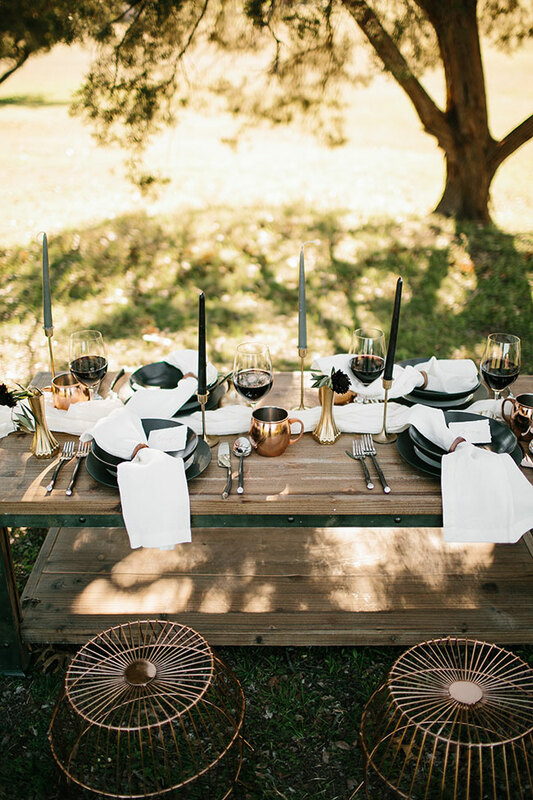 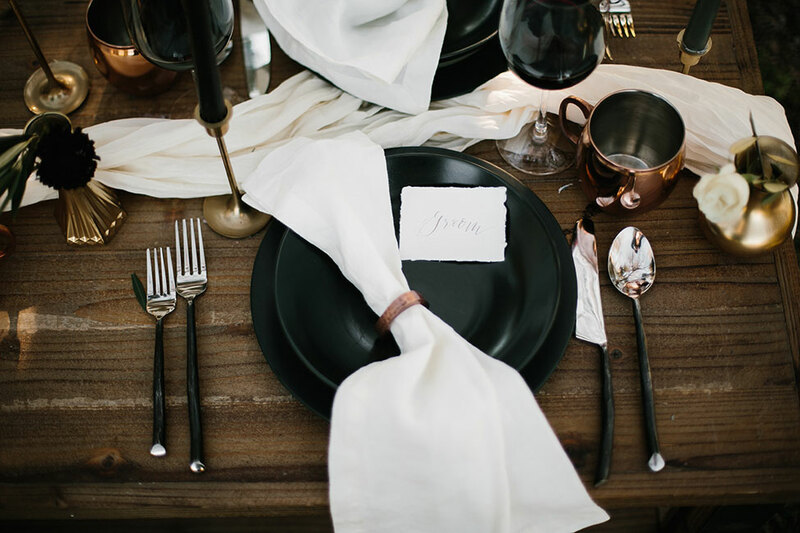 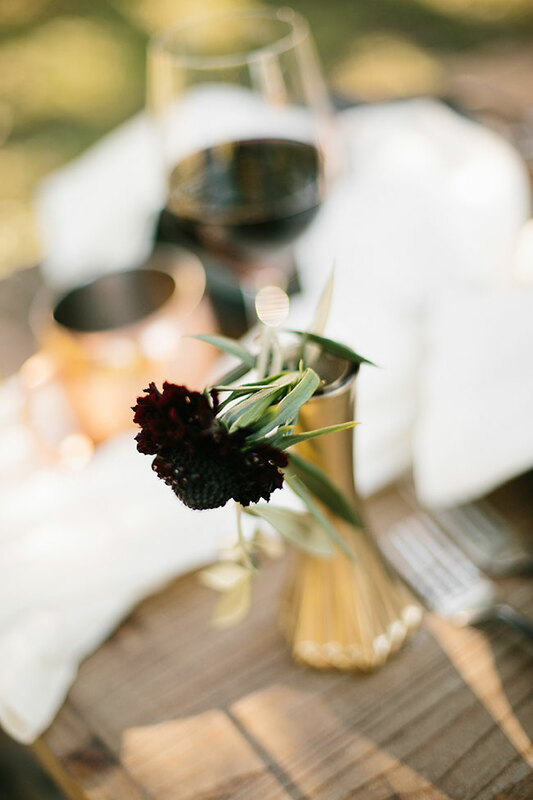 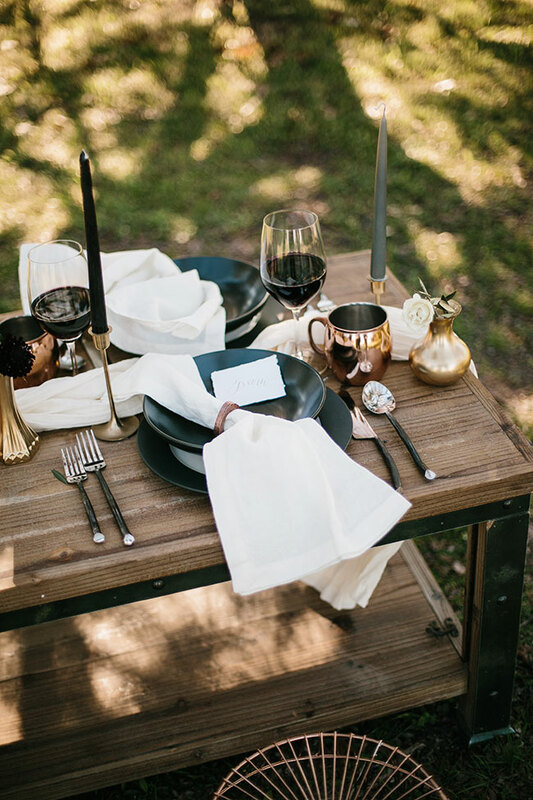 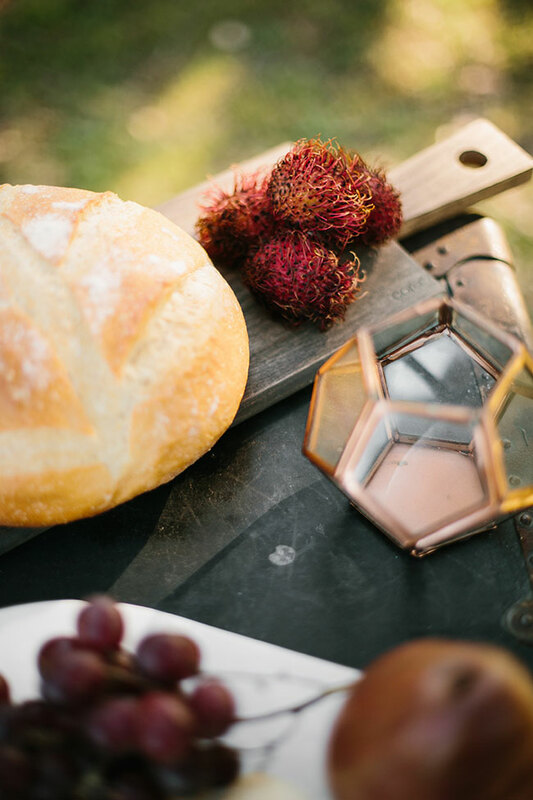 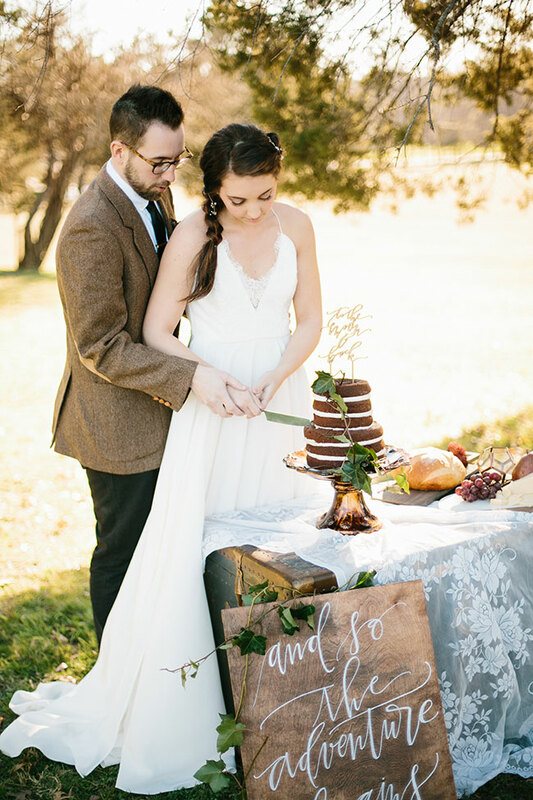 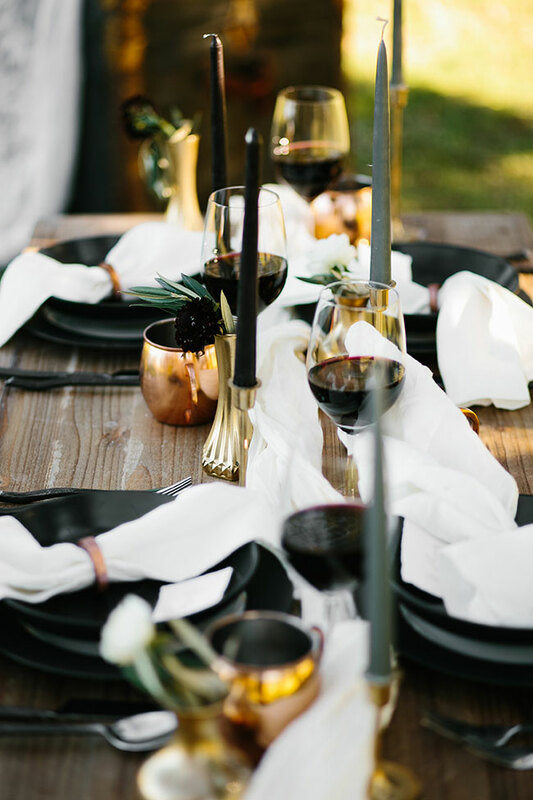 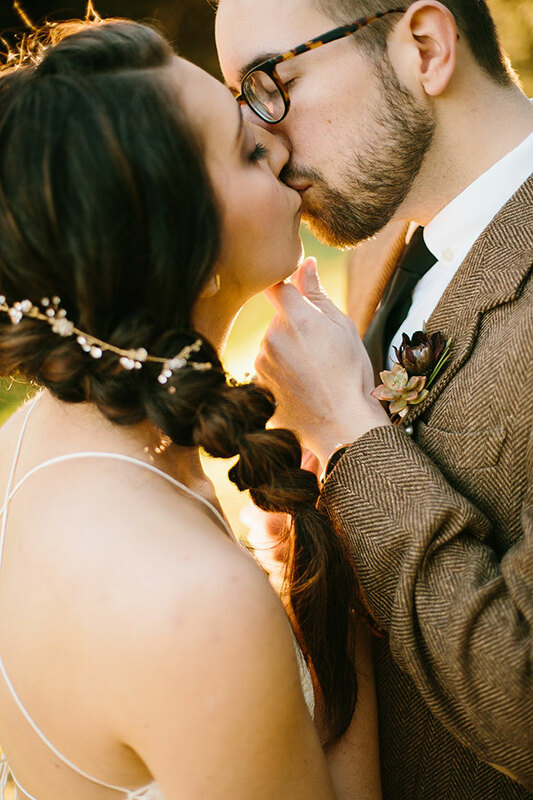 Looking to evoke an elevated down home feel, a team of Texas wedding pros including wedding photographer Rachel Meagan Photography and floral & event designer Shannon Rose Events created the perfect fall wedding inspiration shoot. 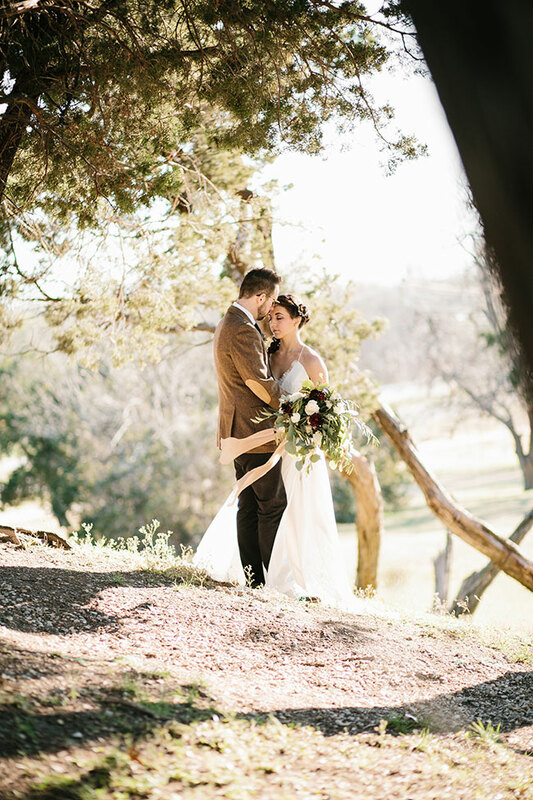 With a focus on texture and movement, unique areas were created within the sprawling park grounds. 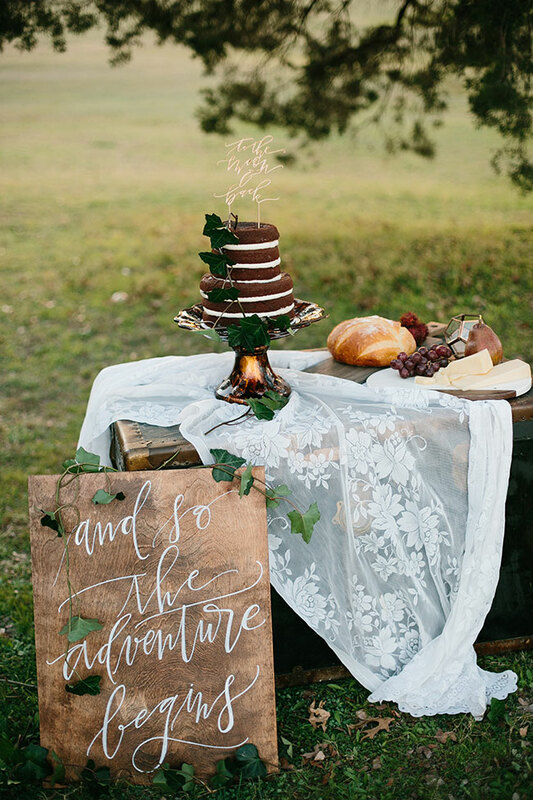 Noshes, both sweet and savory, were displayed on wood & marble platters placed on top of an antique trunk which was finished with vintage lace. 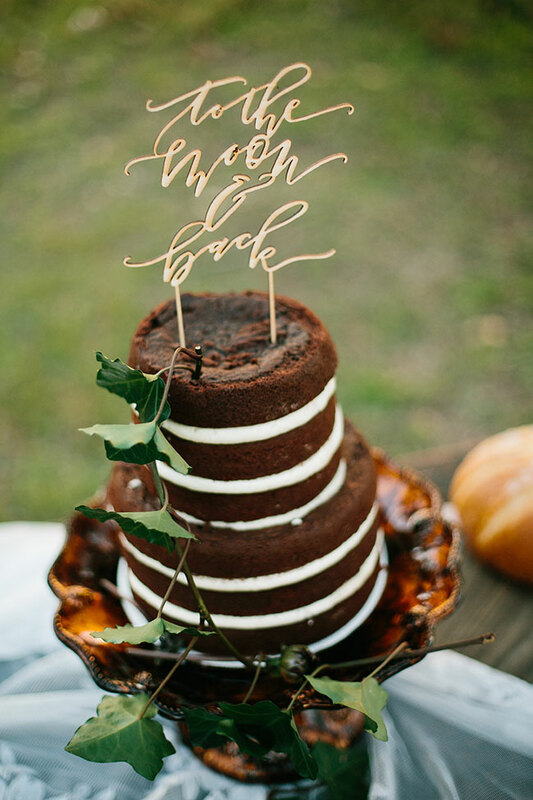 A chocolate naked wedding cake was the perfect choice, echoing the moody the color scheme, topped with a gold calligraphy style note of love. 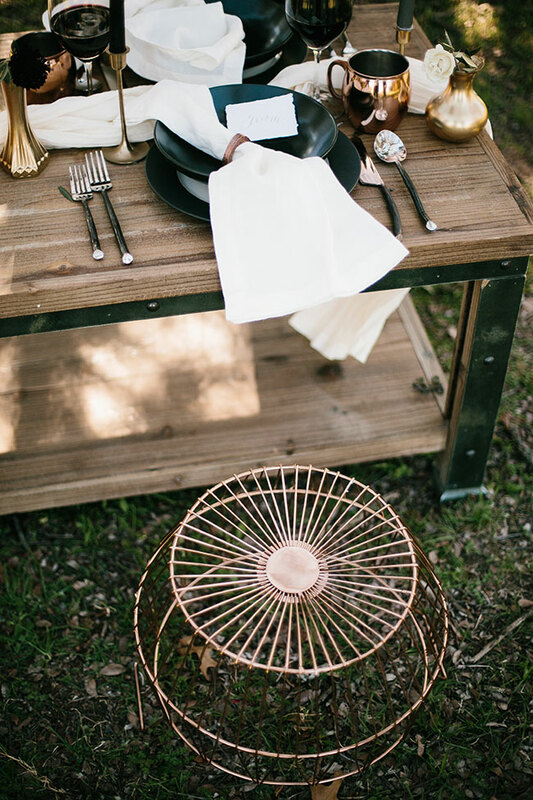 To give the kinfolk wedding a relaxed feel, the team worked with a shorter table opting for gold metal ottoman seating paired with Mexican blankets. 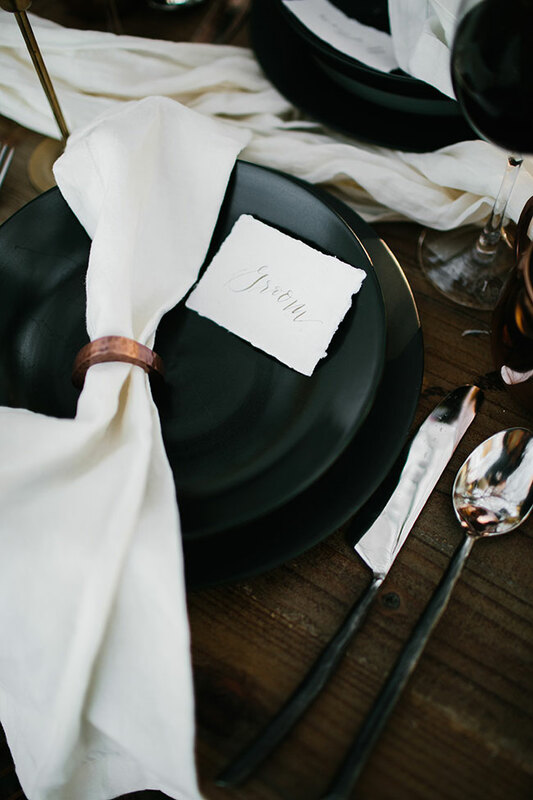 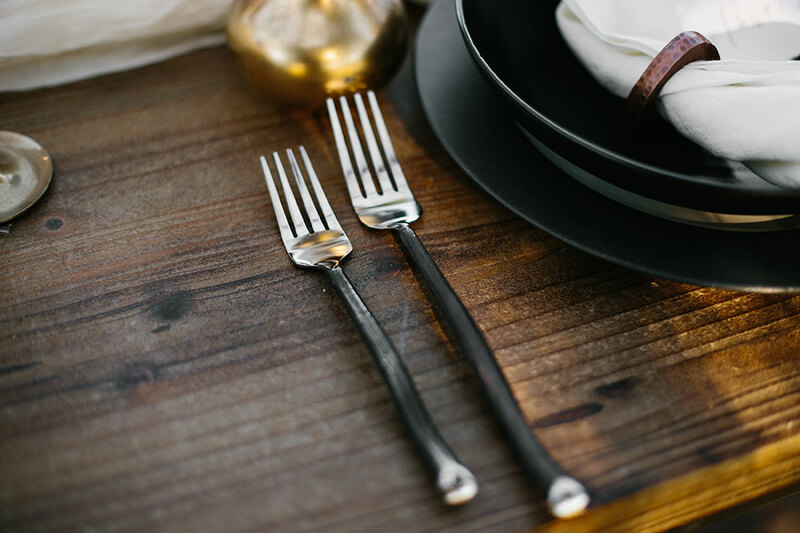 Charcoal plates offered moody contrast to a white table runner which was then dotted with gold accents throughout the table. 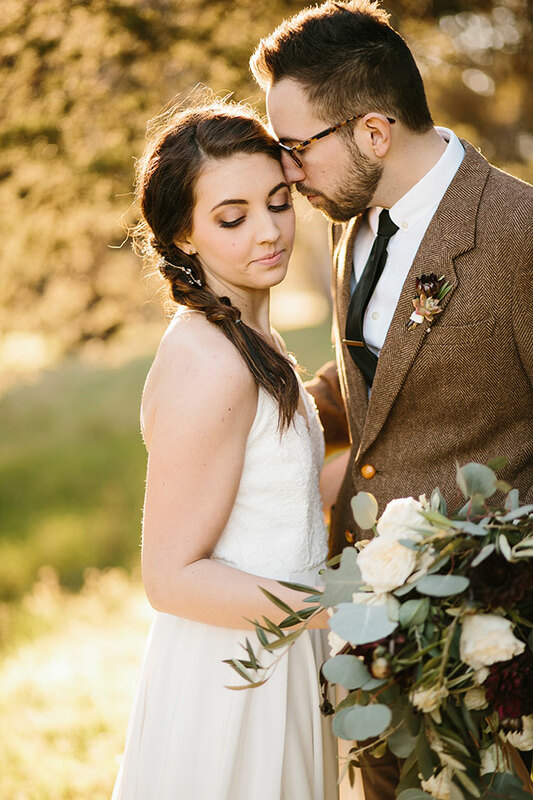 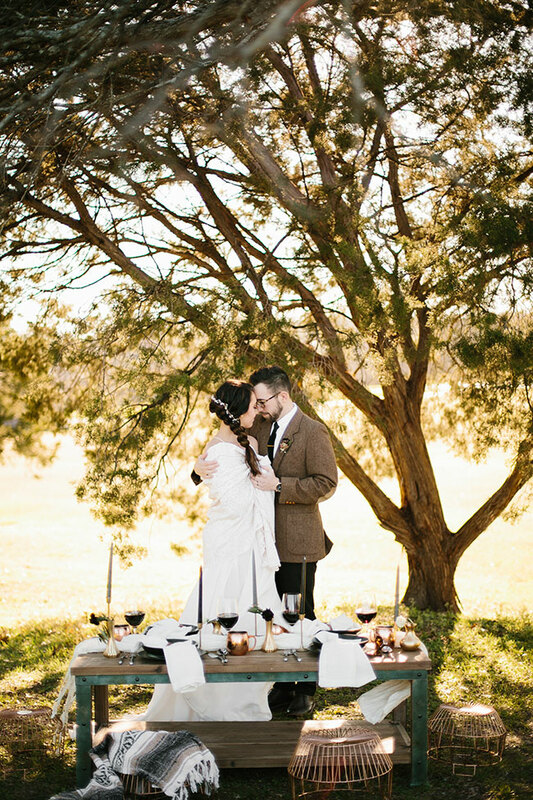 The final piece to the kinfolk wedding puzzle was the ever delicious golden hour time of day, drenching each moment in savory gold goodness!